I love the idea of having a recumbent exercise bike in my home gym. Some days it's just easier to plop into a comfy bucket seat rather than force myself through a treadmill or elliptical workout. It's a workout that feels lazy as you recline, but it burns as many calories as an upright bike. Recumbent bikes are also one piece of equipment that I can use when my kids are sleeping. The slight swish-swish sound doesn't pull them from their slumber. Mommy can get a late night workout without any fuss. However, a recumbent bike is also a big commitment. I have to say goodbye to 10 square feet of my living room. These 80 lb pieces of equipment don't easily move (nor do they typically fold.) It's hard to find space among all the toys scattered across my living room floor. Also, although you can find recumbent bikes on sale for less than $500, they are often priced between $500 and $1000 at full price. I want to commit my floor space and my money toward the right bike, so I did an obsessive amount of research focusing on the Schwinn 270 Recumbent Exercise Bike. The first feature that pulled me toward the Schwinn 270 was the ridiculously comfy seat. It's padded and has cut-outs for your legs. Not only can you easily pump your legs up and down in a hard workout, you could also probably comfortably nap in it. (Not that I've tried it...). The seat back is also nice because it provides arch support for my lower back, which often aches from hauling a two year old around. Unlike the seat, the seat back is not padded, but the idea is to keep your back straight, not sweaty. I also like the Schwinn bikes in general because the company has a pretty good pedigree. Schwinn has been making bikes for over 100 years. They have a warranty that covers the frame for 10 years. Admittedly, the mechanism is only covered for two years and the electronics are only covered for one year. But it's still a pretty great warranty. If you decide to have a professional assemble the recumbent bike for you, you even get a 90 day labor warranty on that! If you want to check out the other features, this video gives a quick overview of every awesome thing about the bike, from the water bottle holder to the heart rate grips. Note that the video is for the 2013 model, so it doesn't talk about the Bluetooth capabilities available in the 2017 model. 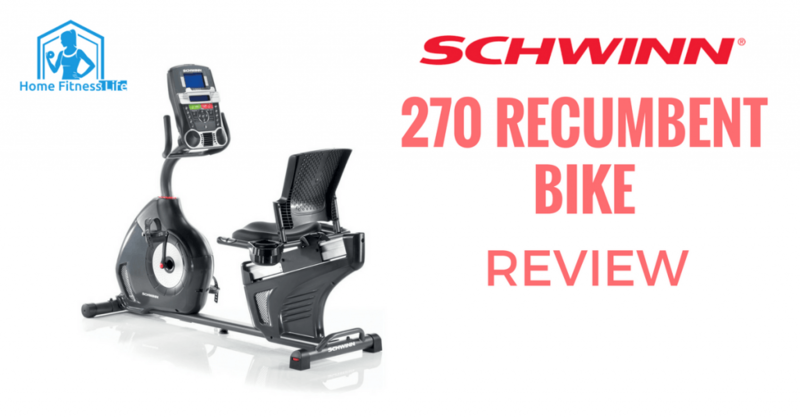 The Schwinn 270 provides the benefits of an upright bike but with a ridiculously comfy seat. Like an upright exercise bike, you can burn a lot of calories through peddling the Schwinn recumbent bike. 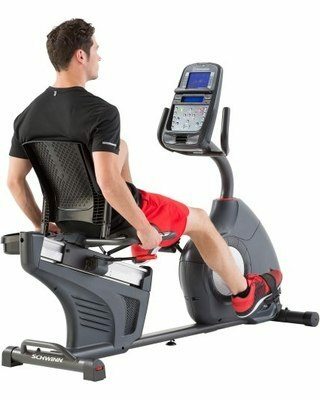 However, unlike an upright bike, the Schwinn 270 Recumbent Bike feels comfortable with you are doing it. Upright bikes often force you to work your abs and arms in order to stay in position. Sometimes that's great, but, oftentimes, I simply want to sink into that comfy seat and let my legs do all the work. My legs can pump through 29 different exercise programs while the rest of my body just relaxes into the seat. It's obvious that I want this in my living room, but I have a hard time committing unless the warranty is good or great. I am sacrificing a whole corner of my living room to this behemoth. If it breaks down, I will not be pleased to have such a large hunk of junk in my living space. Finding a good warranty was key for me because of these reasons. If I'm going to give up hundreds of dollars and tens of square feet to this equipment, I want it to be worthwhile. The 10 year warranty on the frame appealed to me. If the Schwinn 270 Recumbent Bike could fold up into a suitcase-sized lump and be shoved in a closet, I would have given it a five out of five for design. Everything other than the size is awesome. I love the whisper-quiet wheel that doesn't disturb napping kids. Even the track for adjusting the height is pretty smooth. Basically, the bike is loaded with clever designs and features. It has heart rate monitoring, Bluetooth connectivity, killer speakers, and more exercise programs than I know what do with. The features are top-notch. The design is too, but I still wish it could fold up or somehow shrink in size. My reservations about the Schwinn 270 revolve around the size and the price. Pretty much all recumbent bikes take up more space than I would prefer. The Schwinn is not exceptionally large. But, as a piece of equipment, recumbent bikes rate low for size because they take up a lot of space and are impossible to move. My husband hates when I press him into service moving all this home gym equipment around. 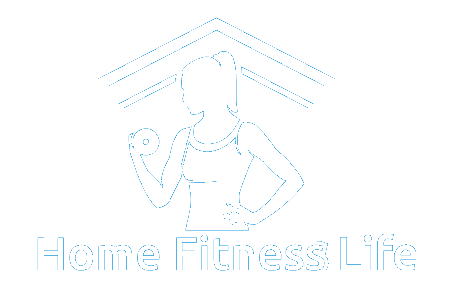 Committing to adding another home exercise machine to your living room is a big deal, especially when you take the price into consideration. Sale prices on recumbent bikes can be reasonable, but the initial price is pretty high for a piece of exercise equipment. The warranty on all Schwinn equipment is what drew me to that brand for my recumbent bike. A year 10 frame warranty is pretty unusual, considering how much weight they can support and how often they are typically used. It's a complex piece of equipment that uses phrases like "eddy current" resistance. I want a good warranty on this strange mechanical wonder and Schwinn seems to provide one. When talking about the Schwinn 270, I've generally referred to the 2017 model. Many of the features are the same for both an older 2016 model and a 2017 model. There are the same number of exercise programs and resistance levels. Both models have the padded seat and ventilated back rest. The primary difference is that the 2017 model finally has Bluetooth. This makes it much easier to export workout data to the Schwinn app or MyFitnessPal. Using the 2016 model requires a USB flash drive and then uploading the data to the app. The 2017 Schwinn 230 is a scaled back version of the 270. It's a little bit cheaper, but it has most of the same features. The 3 speed adjustable fan is still there to keep the sweat at bay. But there are fewer programs to play with, only 22 programs instead of 29 for example. Also, my husband and I can easily share with two user profiles, but when my four year old gets old enough to reach the pedals, there won't be a profile available for him. (The 270 has four user profiles). Also, if the padded seat is a draw for you, the 230 might come up a bit short. The seat itself is not padded, though it is contoured to your bottom. Think of the 230 as the 270 minus the comfy seat and Bluetooth. The 2016 Schwinn 230 is the same as the 2017 model version, but with the discounted price of being older. If you scour the sales, you can probably pick one up for under $300. Although the 2017 270 was upgraded to support Bluetooth, both the 2016 and 2017 Schwinn 230 models still rely on the old USB port system. I was seriously hoping for a Bluetooth upgrade on the 2017 Schwinn 230. Unfortunately, Schwinn didn't include the same upgrade for the 230, so the 2016 and 2017 Schwinn 230 are very similar. Is the Schwinn 270 Right for You? If you have decided to spend the money and floor space on a recumbent bike, do you want the Schwinn 270? If you like to have a lot of features, like heart rate monitoring and exercise programs, the Schwinn could be a good choice. If you love automatically syncing data between your smartwatch, phone and computer, the Schwinn 270 is the only one that I saw with Bluetooth. These features are useful for many people, but it's still a basic recumbent bike. It's possible to save money by focusing on a cheaper or scaled down model, like the 230, if those fancy features don't appeal to you. Whatever recumbent bike you choose, make sure that it's one that you will love because it will dominate your living room space for years to come. I figure that mine at least does double duty as a tiny playground for my four-year old son. 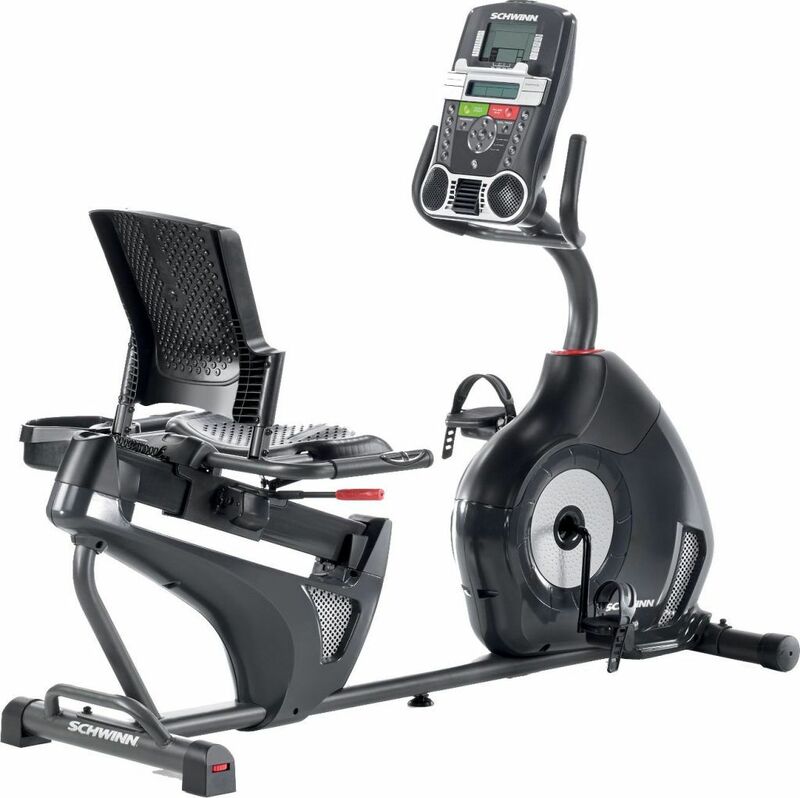 For more recumbent bike recommendations check out my guide on the best exercise bikes. I really like the way you write. It is an informative post. I think Schwinn 270 Recumbent Bike is a great product.